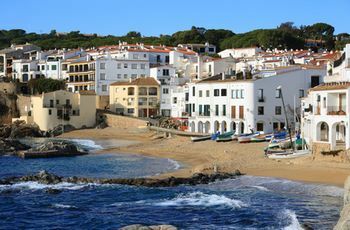 Compare prices from several car hire companies in Girona and find the best price for car rental. Our prices always include unlimited mileage and insurance. Girona region of Catalonia is located in the northeast corner of Spain. From the city it is about 40 km to the coast and the Mediterranean, while the popular city of Barcelona is about 100 km further south. Girona has existed since before Roman times and today is home to nearly 100 000 inhabitants (2010). The old town is full of historic landmarks, and is an attractive place for tourists to spend the day. One of the most famous sights are the Gothic cathedral that was begun in the 1200s. Girona is also a popular city because of its proximity to Barcelona. Girona-Costa Brava Airport is approx. 15 km outside the city, and in 2010 it was registered almost 5 million passengers.